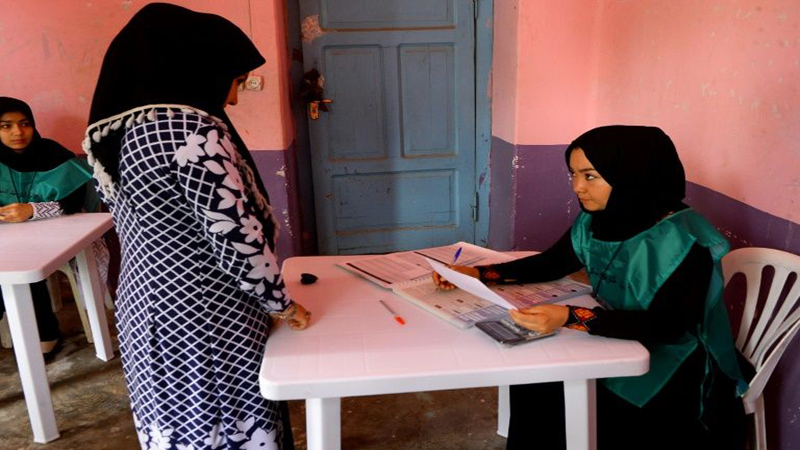 Afghanistan at the weekend began registering voters across the war-torn country as it seeks to ensure that long-delayed legislative elections in October are seen as credible and fraud-free. Over the next two months authorities hope to register as many as 14 million adults at more than 7,000 polling centres — an ambitious goal in a country where militants control or contest much of the territory. “The main challenge is insecurity, particularly in rural areas,” Abdul Badie Sayad, chairman of the Independent Election Commission, told AFP recently. In addition to the Taliban and Islamic State group terrorising swathes of the population, “local powers, illegal militias and strongmen will try to interfere” in the parliamentary and district council elections, Sayad predicted. A shortage of female staff at polling centres, particularly in conservative rural areas, could also impede participation by women in the polls, which are seen as a test run for next year’s presidential election. “Women won’t be given permission from their families to reach the registration centres, where they may be asked to remove their burqa to show their faces,” Sayad said. In Kabul on Saturday police stood guard at a school being used as a registration centre but only a handful of men showed up. Mohammad Hussein, a 54-year-old shopkeeper, said he wanted to vote for a candidate “able to bring about change in this country”. “I voted in 2010 but I made a mistake — the MP didn’t bring any change. This time I need to vote for someone who works without taking bribes,” Hussein told AFP. If held, candidates will contest the 249 seats in the National Assembly for five-year terms. The country will also hold regional elections in tandem in hundreds of districts across Afghanistan — some of which are outside Kabul’s control. Over the coming weeks the IEC hopes to register 13-14 million people at centres where they will later be required to cast their vote, a move which officials hope will reduce the risk of ballot-box stuffing. A television advertising campaign has been launched to persuade ordinary people that their votes will count — a challenging task after a disputed presidential election in 2014. “We are trying very hard to increase the confidence of the public, to increase the legitimacy of the elections,” Sayad said. Another hurdle to voter registration is the lack of national identification cards, or taskeras, particularly among women. Just over half the population has a taskera and the government hopes to issue another 10 million to enable more people to register to vote, officials have said. But there are concerns over how Afghans living in areas controlled or contested by insurgents will be able to register and vote safely. Afghan security forces have been tasked with protecting polling centres, even as they struggle to get the upper hand against militants on the battlefield. President Ashraf Ghani on Saturday called on the Taliban to take up his peace offer made in February to take part in the elections “as a political party”. So far the Taliban, which is expected to launch its traditional spring offensive in the coming weeks, has not responded to Ghani’s proposal. Despite international pressure on the Afghan government to hold elections this year, some question whether October will be too late.